Tablets with 7 inch display is a very interesting form factor. 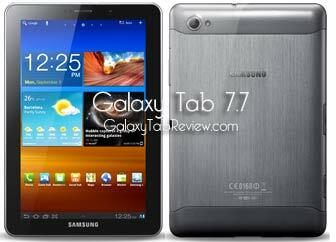 Last year, Samsung came out with Galaxy Tab P1000 and it enjoyed quite a lot of success. 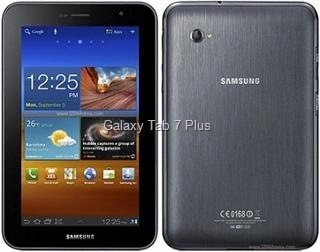 Now, it is offering two models with similar size and form factor – Galaxy Tab 7 Plus and Galaxy Tab 7.7. Let us take a quick glance at the differences between the two. Display, Resolution – Tab 7.7 has 7.7 inch AMOLED display with 1280 x 800 pixel resolution. Tab 7.0 Plus has 7 inch IPS display with 1024 x 600 resolution. This means you will see more on Tab 7.7 at a time. Processor: 7.7 is powered by 1.4GHz dual core processor. 7 Plus has 1.2GHz dual core processor. Battery – 7.7 has 5100mAh battery. 7 Plus has 4000mAh battery. Storage – 7.7 is offered with 16 / 32 / 64 GB. On the other hand, Galaxy Tab 7 Plus comes with either 16 / 32 GB. Both have micro SD card that can be used to easily increase internal storage. Other than the aforementioned differences, both have same specs.